This skimmer is just excellent. I replaced an MC500 with this skimmer. Although less powerful it is almost completely silent, it started skimming almost instantly. Very good skimmer, I dont think there is a better nano skimmer out there. Can't recommend it enough! Best skimmer I have tried. Skimms well and low noice. This skimmer is a great buy for anyone who needs a small skimmer for a tank. I skimms very well producing a lot of fine bubbles. The plastic is thick and durable and the skimmer is quite easy to clean. 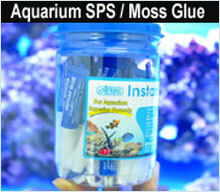 The filter sponge removes the issue of leaking bubbles and the basket on the intake prevents intrusion of aquarium inhabitants. Clean this regularly and you have a strong workhorse. Put it in my RSM130 and it skims really good. I can not begin to compare it against the original skimmer or the Tunze 9002 it is that much better ranging from build quality and level of skimmate.